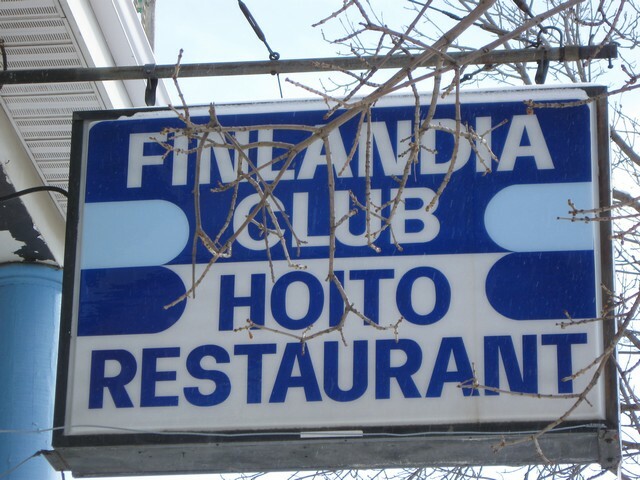 My first introduction to the Labour Temple/Finlandia Club of Port Arthur was through the Hoito Restaurant. I recall as a little girl going to eat 'viili' (clabbered milk) with 'talkkuna' flour (flour mixture including barley flour) sprinkled over it. To get to the viili part, I had to spoon through a thick, velvet-like layer that had settled to the top. Once the flour hit the more liquid viili; it would swell. I used to enjoy the spoonfuls that still had the dry flour that had not quite mixed in. In later years I discovered that I could go to the Hoito and buy a cup full of viili which I then used as the culture to make my own at home. It was a simple procedure of putting some prepared viili in the bottom of the bowl and adding whole milk and a dollop of cream. I covered the bowl and let it sit for a day or two and then moved it into the cold. But no matter how hard I tried; the 'viili' at the Hoito was the best! I remember the wooden booths, at the Hoito, seemed so huge for a little girl. My feet didn't reach the floor. While I ate my food I enjoyed listening to the bustle in the kitchen. I could make out that they spoke in Finn. Dishes clanked and clattered as orders flew back and forth between the hard working cooks and the equally hard working servers. I think what stuck most in my mind were the elderly gentlemen when they drank their coffee. It was somehow so fascinating to watch them pour the coffee into the saucer and then sip. Another memory was the spittoons at the entrance to the men's bathroom. It was normal back then to have those containers for all the tobacco chewing folk. It's funny what sticks to the mind of a child. Christmas time led me up the stairs to the Finlandia Club hall. Every year one of the organizations held a Christmas party for the children. There was entertainment on the stage usually consisting of singing Yuletide songs, some poems, short plays and exercise presentations. The big climax was when Santa walked in carrying a huge bag on his shoulders. Every child received a gift of candy and oranges wrapped and tied with a bow. At one time, the parent would bring a small gift with the child's name on it and as Mr. Claus dug down he actually found a package and called out your name. Many, many years later my own children attended these parties. I wonder if they still have them? The charm of the stage and dressing room was undeniable. However, the rule was that the children were not allowed to go back to the dressing room or backstage unless they were performing. Any child with curiosity had to see what was deep in the darkness of the stage. I can still remember the smell of the dusty curtains, backdrops and the wood floor. I recall they would sprinkle some sort of powder on the floor that stuck to our dancing slippers and served as a testament to the fact that we had performed on 'the' stage. One thing for sure is that it made the floor slippery. 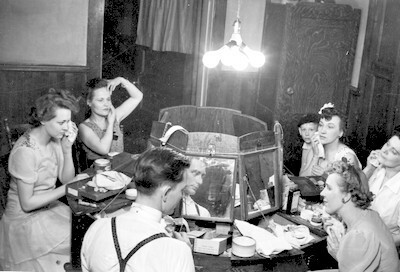 The dressing room had an old circular makeup table that had mirrors that folded up to reveal compartments that held the wares of the talented performers. As children, we would sit at this table and pretend that we too had to put on the required makeup. 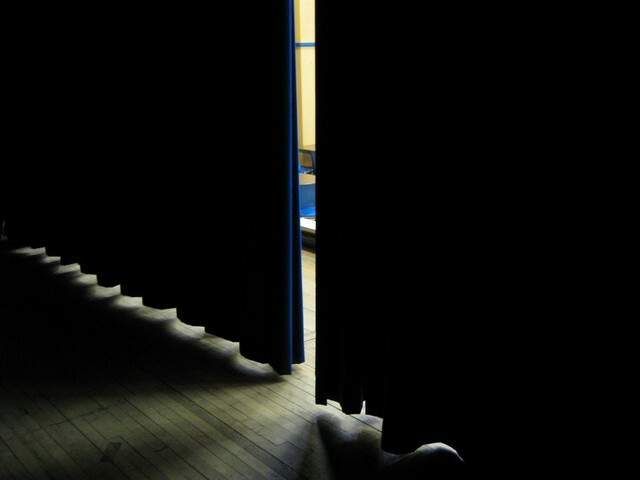 It was exhilarating to run from stage left to stand behind the closed curtains. We would peek at the audience and soon that exhilaration turned to a stomach full of butterflies. Once the curtains opened and we could see a hall full of expectant faces; the show went on. The people kept the hall alive. Congratulations to the dedicated members of the numerous organizations, the people who religiously attended the performances and the never-tiring staff of the Finlandia Club building. It was an amazing time in the history of a building now celebrating 100 years. I hope to travel to Thunder Bay for the great Celebration!